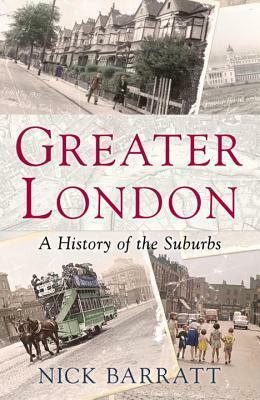 Most histories of London either pay only cursory attention to the suburbs or ignore them altogether. By looking at the whole of the greater London area from Roman times to the present, however, Dr Nick Barratt is not only able to show how areas as far apart as Hendon and Streatham, Ealing and Leytonstone developed over hundreds of years but also to demonstrate the crucial role they played in the creation of the capital. Starting in the first century AD he shows how the villages and settlements of the Thames Valley developed and how they were shaped by their proximity to the city. He describes the first suburbs to sprawl beyond the city walls, and traces the ebb and flow of population as people moved in to find jobs or away to escape London's noise and bustle. And he charts the rapid growth of an urban giant that followed the coming of the railways, the fight to preserve green spaces, the impact of war and immigration, and the very varying nature of London's suburbs today. Illustrated throughout, this is the essential history for anyone who lives -- or has ever lived -- in London.